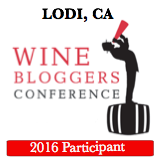 Hi, my name is Jeff Burrows and I’ve been blogging at FoodWineClick! for nearly 5 years! Maybe it’s time to update my “about” page. I love exploring the intersection of food and wine, hopefully highlighted with beautiful photos of wines, meals, and places. I prefer wines which are “old world” and food-friendly in approach. That is, higher acid, less overt use of oak, and perhaps a bit less fruit forward and ripe. My interest in wine has only increased over this five years, leading me to complete my first international certification at the Advanced level from the Wine and Spirits Education Trust, headquartered in London. My #1 lesson from that experience was a reminder that there are so many interesting and beautiful wine regions around the world that I need to keep exploring and expanding my knowledge of them. Now that’s some fun homework! Cook from scratch – start with ingredients closer to the source. Not required every day! Finally, on a suggestion from my adult children who noted they can’t afford many of my wine choices, I have started a Wine 101 series. This series is aimed at anyone who would like to learn more without spending an exorbitant amount of money. I came to wine appreciation a little over 2 years ago. It’s been a fun journey; just starting. I have gone from knowing almost nothing to being the person who gets handed the wine list when we are with a group out for dinner. And I enjoy it! Our old next door neighbors, Lynn and Perry Pelos had a long time dream of owning a winery. They made their dream come true! They purchased vineyard land in Oregon for a Pinot Noir vineyard and eventual winery. When they launched their winery with their first release with the 2006 vintage, I wasn’t quite ready to make the leap. A year later, I thought I should at least find out a little about wine, and buy some iOTA cellars wines to try. Then Dara Moskowitz Grumdahl’s book “Drink This” (my first blog post). Since then, my wife, Julie and I have embraced the idea of wine at the table – as a companion to food. Our preferred wine style could be described many ways: food friendly, old world, less alcohol & less oak. In the natural wine discussion, we tend towards an interest in these types of wines. We also embrace American and other New World wines made in a traditional, food friendly style. We like that there are many styles and types of wines. Who would want a world where there is only one “best” of anything? There is room for all tastes! Great site! Need to add the “Follow Me” button! thanks for the suggestion. done! Heading out to Seattle for the holidays–any suggestions? What an honor to be asked! My only recent Seattle experience was riding the 2011 Seattle to Portland ride with a couple of west coast friends, no time for wine. If you find a Gramercy Cellars wine, buy it. period. they aren’t inexpensive ($45-55), but every time I open one I say to myself: “it’s worth it”. Rotie Cellars is also very good. Under the radar names would be Memaloose, Domaine Pouillon, and Mannina Cellars. Not too expensive, all are low oak, food friendly wines. Please tell us about any of your Seattle finds! I just read about the short ribs and pasta with Nebbiolo and I’m dying to taste it all. But what would you recommend for watching the Patriots (hopefully) wallop the Ravens this evening? Thanks Lorri! I usually try to confine myself to wine and food and stay out of dangerous areas like football. Just a guess, but a nice Zin would likely go with game winning food. Thought we’d pop over and say hello on your side of the world, since you are so kind to stop in to ours. Love it that you were neighbors with the Pelos’ when they lived here. Perhaps we were even at their house together at the same time and didn’t realize it! Were you, by chance, at their MN release party for their inaugural vintage? Hope we have the chance to run into one another in person and sip some wine together sometime since we are practically neighbors. Enjoying your posts very much! Cheers! Yes! We attended that first release party. It was the very beginning of our wine journey. In person would be fun sometime, perhaps we’ll open one of our 2006 iOTA Cellars! I don’t mind a bit. Thanks so much! Okay Jeff, you got my attention! 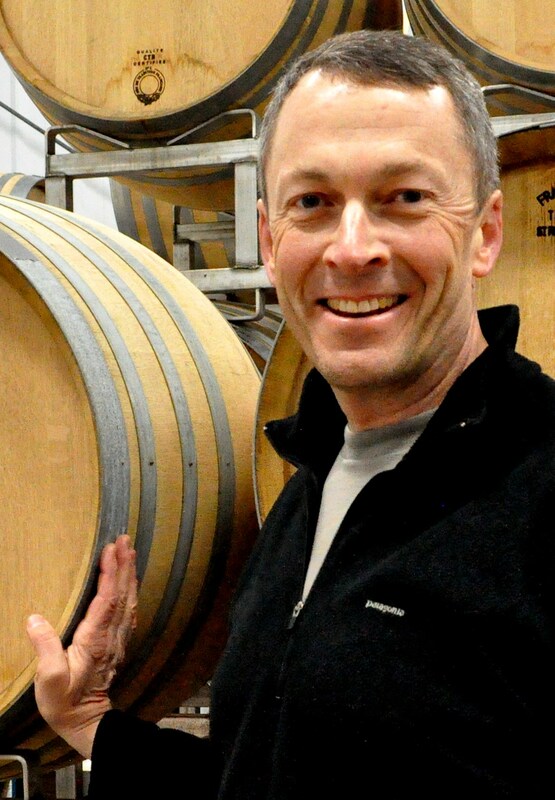 Arne and I LOVE wine (and he still is big micro-brew guy too) so will enjoy catching up with you and Julie through virtual wine chat! Laureen, that sounds like fun. Our kids are much more into beer, and we joke about “Food Beer Click” as a part-time blog posting. We look forward to connecting with you and Arnie! Would love to talk if you have a few moments. I run the site Catavino.net and in a couple days will be bringing 4 portuguese wineries to Minnesota to share some wines…We’ll be at Solovino most of thursday if you are around. Would be fun to meet a blogger from MN! So sorry, I would really enjoy meeting you, and Solo Vino is a great shop. However, I am going to be out of town on business this Thursday. Thanks for downloading the registering for our app. Looking forward to seeing your visual tasting notes! Good luck with your app and I look forward to your feedback as well! Jeff…Hope to see you at Madden’s 2013 Food & Wine Event in August. We have some big name national chefs participating this year and some very unique activities planned! It was great to meet you and your wife at the Dinner on the Farm event at Gardens of Eagan on Sunday! What a beautiful night it turned out to be. Thanks for letting me know about your blog – I look forward to reading more and then, of course, drinking and eating more! Jax, we enjoyed meeting you as well! We’ll look forward to reading more about your experiences. A great site! Choosing the right wine can be a little intimidating (especially if you were raised in the British tradition of thinking choosing wine stops at colour, and now have to serve far fussier Italians). Very informative. Thanks for visiting! We have fun experimenting with the intersection of wine and food. Always with an open mind. Cheers! Hello! I know we’ve never met and just follow each other on social media, but wanted to leave a friendly note to say I enjoy your blog. It’s well thought out and the pics are great. Just added your blog to my Blogroll! Check it out when you have time – thanks for the blog love! Cheers. Thanks so much! I think we found each other through our mutual admiration for Walla Walla. I enjoy following your blog and Instagram too. Cin Cin! I like your story and your web page, it’s very interesting. I write about wine and food in my blog which I have started quite recently. I love to share my stories and my passion and I believe strongly in natural and biodinamic wines. I work part time as Sommelier for Gourmetteria in Italy, my boyfriend restaurant (a format we would like to expand abroad) so if you have the chance to visit Venice in Italy come to visit us 🙂 we welcome tourists because we love to get in touch with new cultures! Thanks so much for your kind words! When we visit Venice, we will be sure to visit your restaurant. We would enjoy meeting you in person. We are enthusiast travelers to Italy, as we have found a warm welcome there. Ciao Ciao! Jeff-thanks for the love on the sparkling Nebbiolo. Glad you enjoyed it. That’s a special wine from a special family. Hope to see you next time I’m in Minnesota. Thanks Weston! You keep finding them and bringing them to Minnesota and I’ll continue to enjoy them! I’m so glad you found my blog! You might consider joining our blogging groups, we explore Italy on the 1st Saturday of the month via #ItalianFWT, wine pairing weekend on the 2nd Saturday at #WinePW, and France on the 3rd Saturday at #Winophiles (all on twitter via our blogs). Are you in Paris? Hi, yes I am Paris (just on the outskirts, not city centre). I would love to read what people have got to say in your groups. Shame that I missed Italy, as I have just put two little posts up after returning from Tuscany, and I have another written and ready to roll midweek on Florence, Sienna and a wonderful lasagne with an added ingredient. Does it matter that post have already been submitted elsewhere before these dates? Not sure whether I’m up to the same standard as maybe others though, as I have only been doing this a few months. and some that I have seen out there look very professional. ……. ‘i can’t find a way to ‘follow you’ as your first commenter mentioned. If there is a way put me on your list! Hi Bill. Thanks for visiting. I did have a “follow me” button on the main page and also on this page, but they were down in the middle of the other content on the right side. I moved the button up to be a bit more visible. You just click on the “follow” button. If you have a wordpress.com blog, my site will be added to the others you are following. If you don’t have a blog on wordpress, I believe it will have you enter an email address. thanks. I have been reading up on your blog and admire the forthrightness in your profile. Today we are a having lunch…the beginning of a great friendship?